I never really got into D&D as a teen, we played Aftermath, a post apocalyptic role playing game. I remember one particular campaign I ran that had our heroes in one of these (then a brand new vehicle) a Suzuki Samurai. Ours was heavily modified to survive the harshness of a Road Warrior type life. 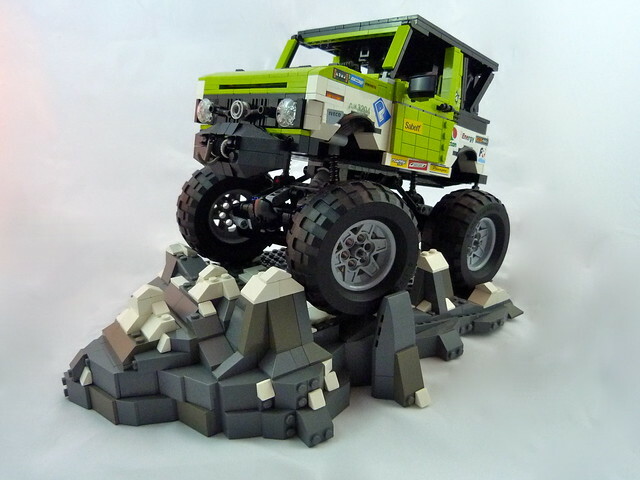 This one, skillfully recreated by builder Lino M was built for climbing, serious climbing, like the highest climbing ever done. 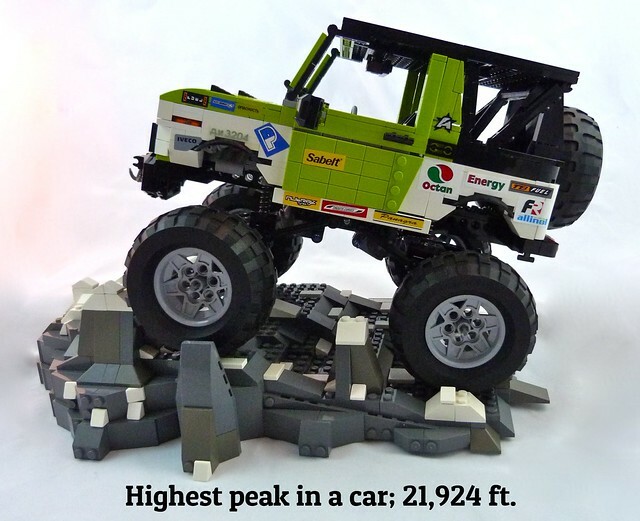 Can you believe a Suzuki Samurai climbed the highest peak ever conquered by a four wheeled vehicle? This one did.